Cliff Cornwall is an agent with the F.B.I. He is a highly specializing agent, making his mark in the constant battle against enemy agents and saboteurs. He is so good at it that he is seconded to Army Intelligence on more than one occasion and even when he is not actually assigned to them he continues to work on their behalf. His duties take him around the world but towards the end of his recorded cases, his area of operation moves to the Panama Canal and parts around there. Very little is mentioned about his background or about his personal life. From his depiction it is possible to see that he is in his late 20s or early 30s and he is definitely in good physical shape, able and willing to leap into action and go up against great odds coming out on top each time. He only becomes a prisoner of his opponents, it would seem, when he wants to get at them more easily. Besides his physical conditioning, we know that he is a red-head with slight curls. He is also clean-shaven. He is usually dressed in a suit and tie unless he is forced to take his shirt off, a not uncommon occurrence. 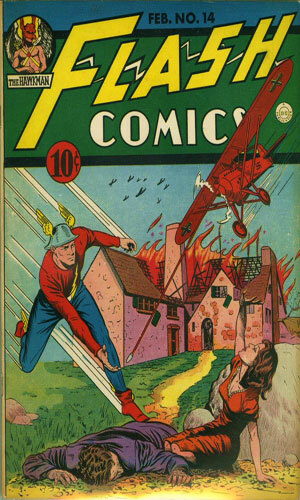 In several of the 17 adventures, Cornwall is assisted by a quite resourceful young woman he meets and who helps him in the first mission. Lys Vallerie is her name, a raven-haired beauty whose father had been a victim of the bad guys in the case. She is offered a chance to go to Washington with him at the end and she did so, apparently becoming an agent on her own. She would be named by him as his partner a few times but then disappeared from the pages (transferred?). In the dozen-plus cases that Cornwall is in, he shows himself to be highly resourceful and dedicated and quite successful. He just did so in such a vanilla way that it is not surprising he did not stick around long. 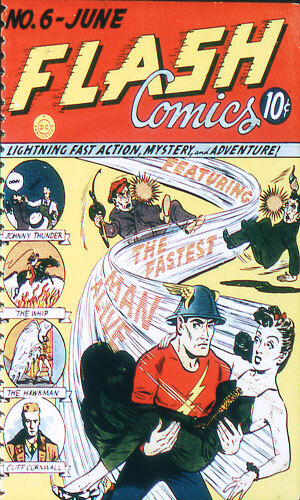 The adventures of Cliff Cornwall were depicted in the pages of Flash Comics from its first issue up to the 17th. 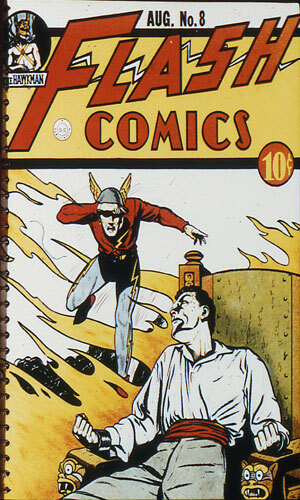 While the Flash continued for many years, Cornwall's stories did not. 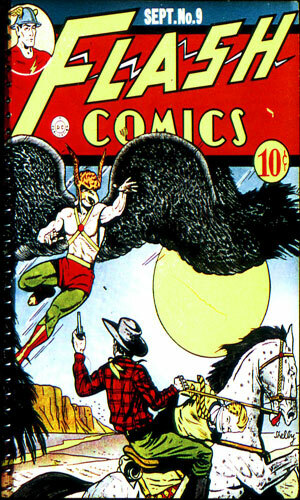 From Flash Comics issue 1: A squadron of Army planes go missing over Alaska. Cliff Cornwall is assigned from the F.B.I. to help Army Intelligence find what happened to them. From Flash Comics issue 2: While flying over Montana, from Alaska, Cliff Cornwall intercepts a low-frequency radio message from Panama about plans of mine layouts near the Canal being offered for sale. He flies down there to stop it. From Flash Comics issue 3: Still in Panama, Cliff Cornwall learns of a spy temptress stealing secrets from drugged would-be lovers. He pretends to be head over heels for her as he passes bogus info to her. From Flash Comics issue 4: The secret arrival of an ambassador from Sofia to Panama is discovered by a female agent and passed to her boss who plans to have the visitor killed to start a war between Sofia and the U.S. Cliff Cornwall is ready to stop them. 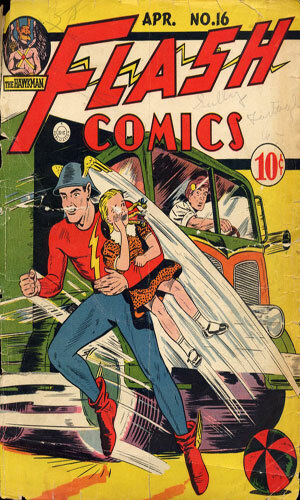 From Flash Comics issue 5: He always works at night and during the winter months. He is the Snow-King and he is said to be "the most dangerous spy of them all". Cliff Cornwall is ordered to track him down and stop him. 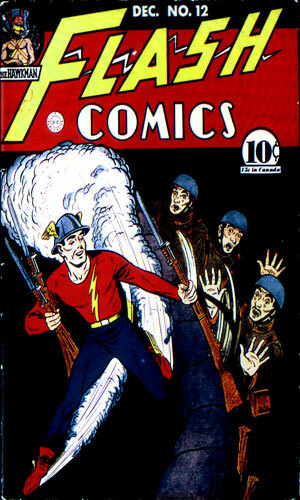 From Flash Comics issue 6: The only things about him that is known is he is bald and he can smuggle weapons where he wants. This time his target is the enemy of the country of Karavia and they are demanding that the U.S. find a way to stop him. Enter Cliff Cornwall. 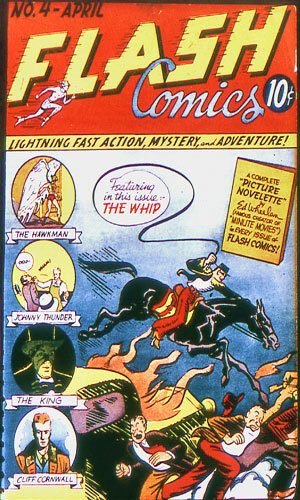 From Flash Comics issue 7: The F.B.I. receives a message about the "Little Boy Blue". Soon the famous Blue Boy painting is stolen. Then a note comes saying "Keep smiling" and the famed smiling picture "Modern Louisa" is snatched. Cliff Cornwall is asked to look into it. 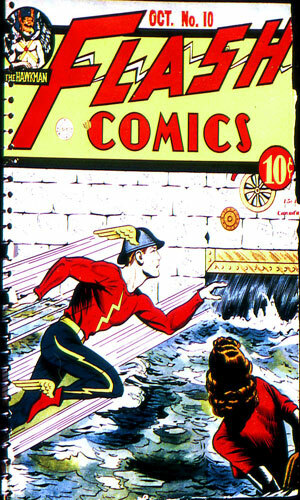 From Flash Comics issue 8: A improbable as it sounds, an sos from an American sub talked of it being invaded by armed men and taken hostage, all while under water. Cliff Cornwall is sent to check it out. From Flash Comics issue 9: Yet another nation wants to destroy the Panama Canal, this time to trap U.S. naval forces on one ocean while attacking from the other side. This time the attack is coming from a secret base in Antarctica. 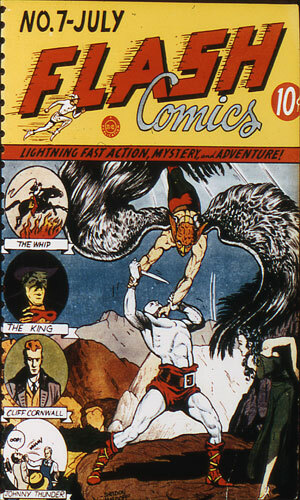 From Flash Comics issue 10: Numerous U.S. possessions in the Pacific are being attacked by a gang of terrorists led by a "queer cloaked man". Cliff Cornwall is tasked with bringing the man to justice. In doing so, he learns of a female agent named Goldy that eludes his capture. 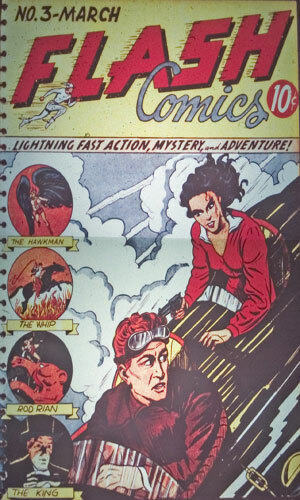 From Flash Comics issue 11: Cliff Cornwall is after the female spy master named Goldy but she is proving as dangerous and elusive as any foe he has yet faced. 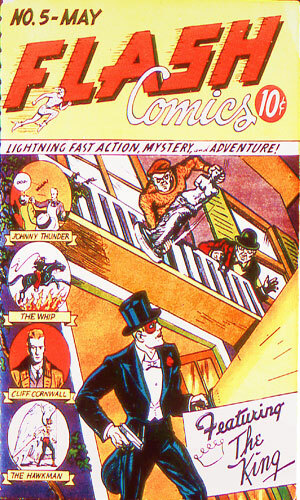 From Flash Comics issue 12: Bringing in the spy master Goldy is proving quite difficult. 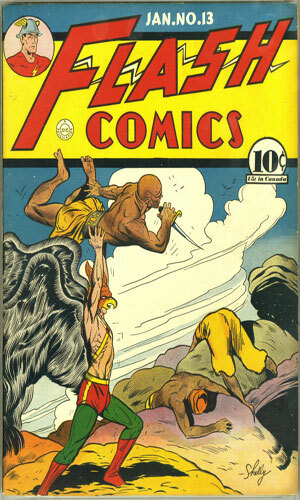 When faced with even nastier foes, though, Cliff Cornwall sees he needs the help of his resourceful prisoner. Luckily, she is having a change of heart. 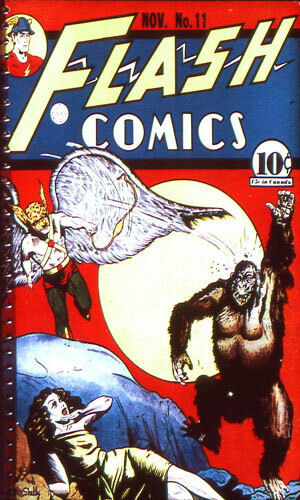 From Flash Comics issue 13: To force America into the war, enemy agents from Korova attack the island of Snowland and takes its few inhabitants hostage. Cliff Cornwall and Lys Vallerie are sent to rescue them and kick the invaders out. 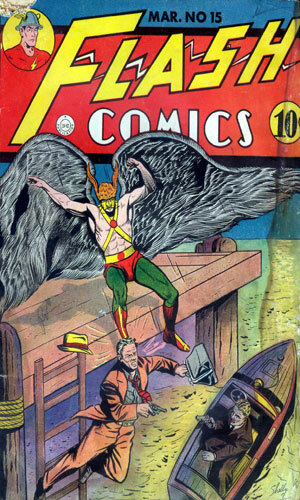 From Flash Comics issue 14: An American inventor has created an airplane detector good for up to 50 miles. Enemy Karian agents want it so they send luscious Nola to get them. Cliff Cornwall goes undercover to stop her. 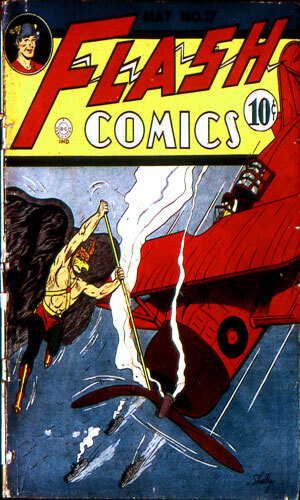 From Flash Comics issue 15: Aircraft are showing up in the European war that look a lot like new American designs. Cliff Cornwall and Lys Vallerie are dispatched to learn how the secrets are being stolen. 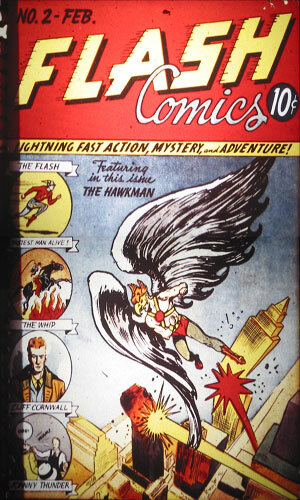 From Flash Comics issue 16: Cliff Cornwall is temporarily assigned to Panama where he spots an foreign plane taking pictures of defense layouts. From Flash Comics issue 17: As war spreads in Europe, the U.S. is concerned that Caribbean oil refineries are in danger of being used by the enemy so Cliff Cornwall is sent to check things out. 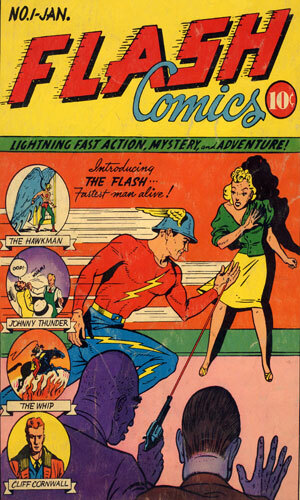 As a filler story for the brand-new, exciting superhero known as The Flash, I am sure not much was expected of Cliff Cornwall other than take up pages and not embarrass anyone. He accomplished this but little else. We are never given any sort of back-story on him whatsoever, which is common for such ancillary adventures, but it goes even worse with Cornwall because outside of his federal agent duties, we learn next to nothing. We do find out he likes vacations and enjoys the ocean. Big yeah! Most of us do. We surmise he is single. We gather that he must enjoy the company of the ladies because they seem to enjoy his. That be it. No wonder he came and went with so little fanfare.